Boston, Oct 31, 2017, — bostonese.com, the largest bilingual Asian American news website in Boston, announces today that it has endorsed Ed Flynn for Boston City Council, Nina Liang for Quincy City Council, Vatsady Singvonsay for Cambridge City Council, and Anping Shen for Newton School Committee Ward 3. 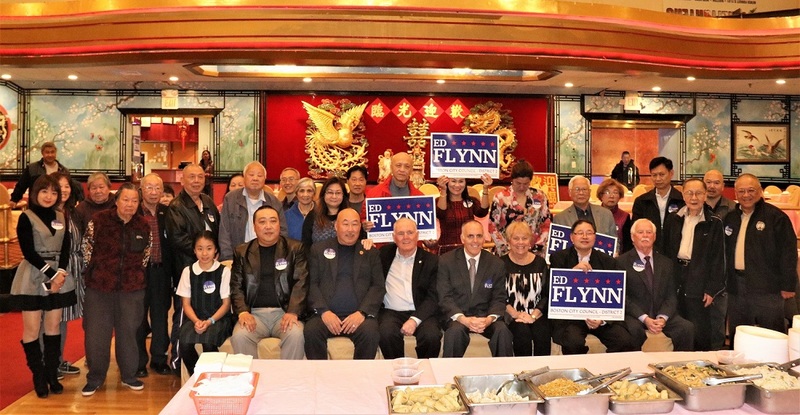 Ed Flynn has a long history of public service, and has made many friends in Boston Chinatown and other neighborhoods of the second district of Boston City Council over past 10 months. “Ed is a strong leader. I believe Ed will be an excellent City Councilor for the second district. His father Ray Flynn did a lot for the Chinatown community during his tenure as Mayor of Boston.” said Hung Goon, former president of CCBA-NE. Nina Liang was born and raised in Quincy. She currently serves as one of Quincy’s At-Large City Councilors. Nina is the Chair of the Downtown and Economic Development Committee and the Community Engagement Committee. Liang has also received endorsements from: Massachusetts Women’s Political Caucus, IBEW 103, Local Laborers 133, Carpenters Local 424, New England regional Council of Carpenters, Quincy Democratic City Committee, South Shore Young Democrats, Plumbers Union Local 12 and Elevator Constructors Local 4. 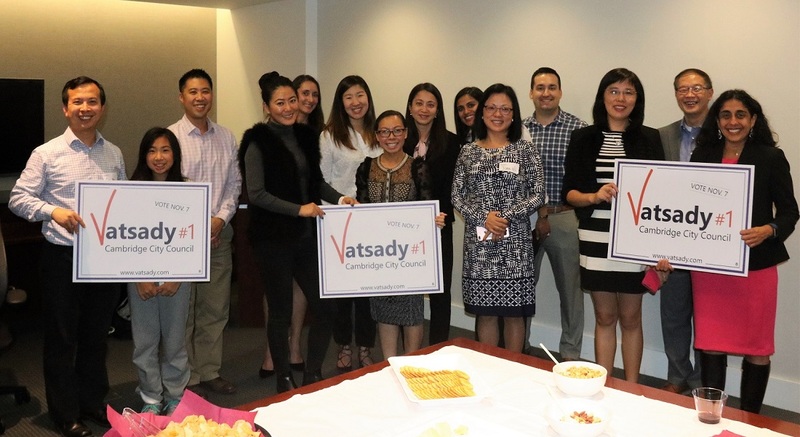 Vatsady Singvonsay graduated from Suffolk University Law School, and is running for Cambridge City Council with a commitment to increasing equitable access to opportunities for all Cambridge residents. “I believe she does bring very unique and diversified perspectives as a refugee immigrant from Laos, a lawyer, a wife, a new mom and board member of multiple nonprofit organizations. She has the ability to listen to different voices and represent those traditionally under-represented. A diversified and multicultural city as Cambridge will benefit from her unique life experiences and perspectives,” said Connie Dai. As an educational specialist at Massachusetts Department of Elementary and Secondary Education for the past 20 years, Mr. Anping Shen is running for Newton School Committee Ward 3. Shen is author of dozens of Chinese and English academic and media articles and books on schooling, child development and parenting education. 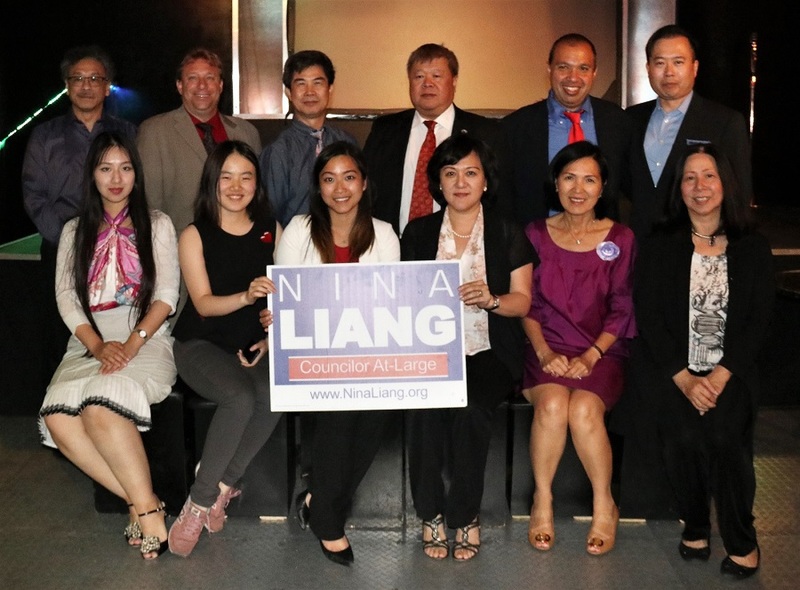 “He is one of the most qualified candidates for Newton School Committee, and we trust him to help improve public education in Newton,” said Xiaoyi Zhang, a resident of Newton.